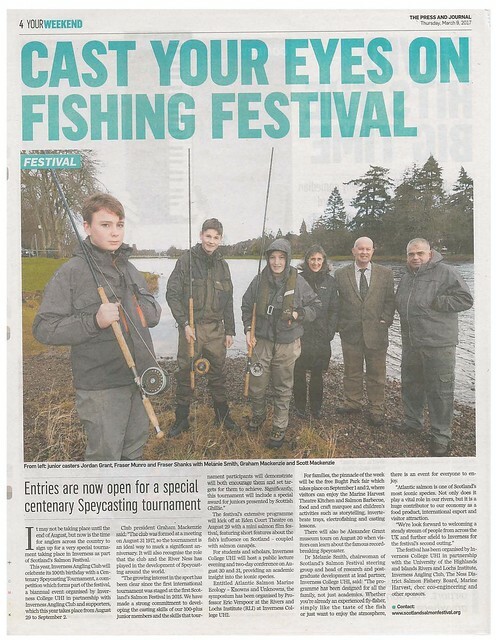 More launch coverage for Scotland's Salmon Festival last week in the Press and Journal. There are only a few spaces left for the Inverness Angling Club Centenary Speycasting Tournament. Register here on Eventbrite. Once we reach the full quota of entrants we will be operating a waiting list.